ILiAD Biotechnologies lead product candidate is BPZE1, a live attenuated pertussis vaccine. The BPZE1 strain was developed at the Institute Pasteur de Lille and Inserm by a team of scientists led by Dr. Camille Locht. 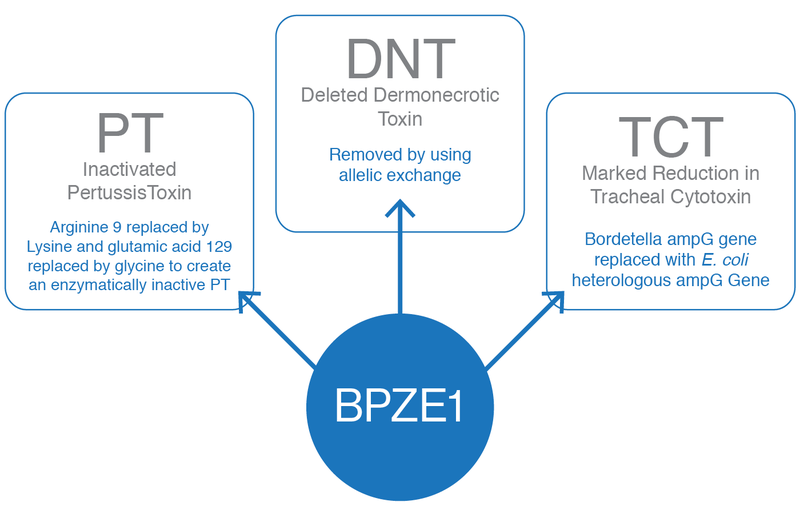 BPZE1 is a technologically advanced pertussis vaccine that contains genetic modifications to eliminate, attenuate or inactivate three different B. pertussis toxins (described above). 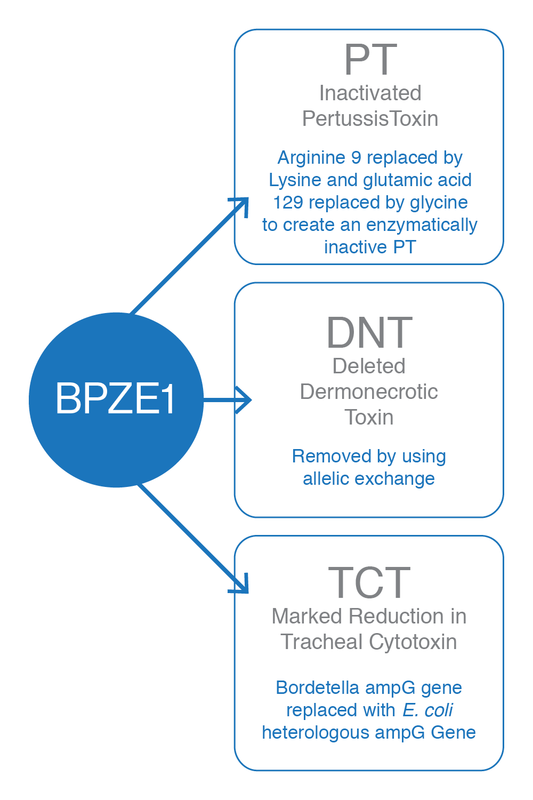 BPZE1 is an investigational product that has not yet been approved by the FDA.